This show was broadcast January 3, 2013. 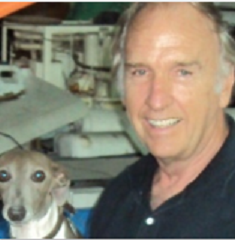 Philip Jarman is a volunteer for Architects and Engineer for 9/11 Truth. Because of his aviation experience in the Canadian military he didn’t believe the official 9/11 story from day one due to the U.S. Air Force’s (lack of) response to the initial attacks. In this episode of 9/11 Free Fall he talks with Andy Steele about various issues, including Facebook temporarily suspending Richard Gage and other activists’ pages, spreading the truth in the post-9/11 world, and dealing with activist burnout. This entry was posted on Thursday, January 3rd, 2013 at 8:12 am	and is filed under 9/11, 911 Free Fall, False Flag/Fake Terror, Freedom, Justice, News, Protest. You can follow any responses to this entry through the RSS 2.0 feed.